When social media emerged around the new millennium in the form of websites such as Six Degrees, Friendster and Myspace, they changed the way we connect with each other. Meanwhile, eBay and PayPal were changing the way we pay each other for goods online. Now, two decades later, social media and payments have begun to fuse. Here’s a look at how the social payments phenomenon benefits consumers and how technology is taking it to a whole new level. One day, you may send money to a friend just by nodding your head. PayPal’s peer-to-peer payments app Venmo, started in 2009, has grown among millennials into a popular way to send money with emojis in a social-media-like feed. Social media sites Snapchat and Facebook have introduced money transfers within their messaging services. 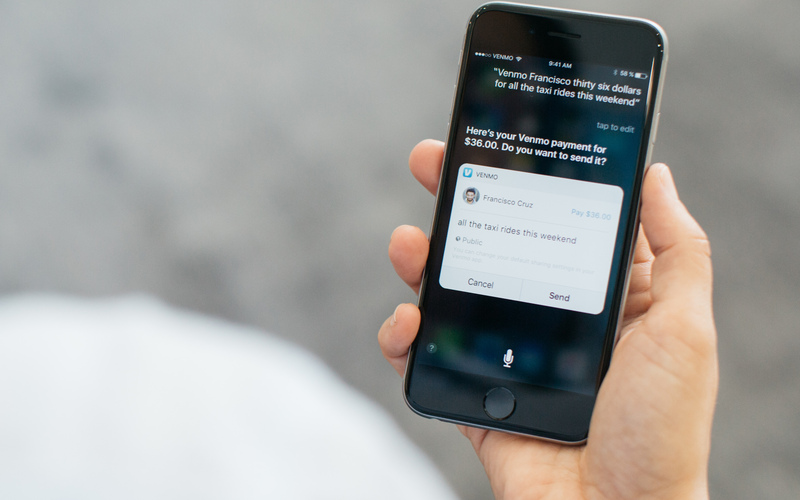 Skype just announced users will be able to send money on the app, and Apple is planning to roll out a similar service in its Messages app. That convenience is hooking more users. Transactions on Venmo, for instance, grew 126% in the last three months of 2016 compared with the same period in 2015, according to PayPal. Transferring money via social media makes splitting bills or group activity costs seamless. You can settle payments with friends by typing in exact amounts instead of divvying up cash or writing checks, which may not be at hand like our phones usually are. “It’s a lot easier to organize things for a group and just cover it instead of expecting people to buy separate tickets,” says Brianna Haag, 32, owner of a San Francisco-based business development consultancy. She’s covered trip costs to a half-marathon with friends and group tickets to the musical “Bring It On,” among other things, and her friends paid her back on Venmo. Along with sending money, most P2P apps let you request money you are owed. This feature can take the awkwardness out of asking friends to pay, since an impersonal app notification is their reminder. In her research, Kaye found that one of the overarching impacts that emojis have is creating positive, lighthearted experiences. Facebook Messenger, Apple’s Messages and other apps have their own emojis, which can appear in the same chat windows as payments, but Venmo stands out for sending money with emojis in the same transaction. Although no transaction amounts are visible to Venmo users beyond the sender and receiver anywhere in the app, the Venmo payment notes are usually public. And users have combined emojis to create new meanings. Some users “will get really creative with their emoji usage and … create puns out of them,” says Ny Vo, a product manager at Venmo. For example, she says, they combined the bee and ear emojis to stand for “beer.” So Venmo made it an emoji auto-suggestion when a user starts typing the word “beer” into a new payment note. P2P transfer providers such as Venmo, Square Cash and Google Wallet let you store money on a balance within the apps, but this isn’t as safe as transferring the money into a bank account. A bank account has federal deposit insurance, meaning that if the institution fails, you still get your money back. Not all P2P apps have this protection. However, added security is coming to P2P. New federal regulations created to protect people with prepaid debit cards will extend new protections to users of P2P apps. Set to take effect in 2018, the new rules give users the right to dispute errors and help protect against unauthorized transactions. Some P2P payment providers already have such policies in place. “Greater regulation of nonbanks [P2P providers] may level the playing field with banks for both compliance and consumer trust,” said Terri Bradford, payment research specialist, in a research briefing for the Federal Reserve Bank of Kansas City in January. Payments that are integrated with social media aren’t limited to the United States. This year, international money transfer providers Western Union, MoneyGram and TransferWise have begun letting customers transfer funds to their connections on Facebook Messenger through “chatbots,” software powered by artificial intelligence. The 150-year-old company also offers its transfers on WeChat, a popular Chinese social media app, and Viber, a Japanese-based instant messaging and calling app. Each app has over 800 million users worldwide, according to their websites. WorldRemit, an international money transfer provider, surveyed 25,000 of its customers early in 2016 and found that 42% said they used messaging apps to discuss money transfers. Since WorldRemit doesn’t offer transfers on social media channels, just on its website and mobile app, this behavior emphasizes the role social media play even when transfers aren’t part of a messaging platform. In 2017, P2P money transfers are mostly done on screens, over the phone or in person, but that could change within just a few years. In the past year, we’ve seen voice commands become commonplace for smartphones. Research firm Gartner predicted last year that by 2020, billions of personal devices would be designed with the need for minimal — or zero — touch. Chinese e-commerce giant Alibaba told Reuters last fall that its VR Pay would let shoppers buy things simply by nodding their heads. Technology is transforming P2P payments into a frictionless experience — and social media apps are starting to help with that. “Our social networks are an embedded way for us to not only share thoughts and photos but to settle up on things, to place requests and to send [money]” to friends and family, says Jason Henrichs, managing director at FinTech Forge, a bank innovation consulting firm.